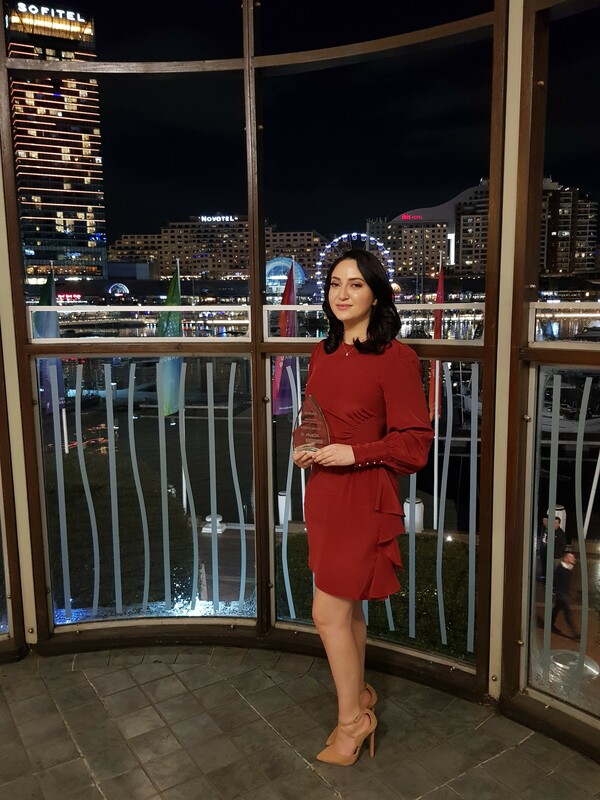 The NSW Chapter of the Air Conditioning and Mechanical Contractors Association (AMCA) hosted their annual dinner and industry achievement awards on Saturday 28th July, with our own Ronda Masri, receiving the 2018 Engineering Support Award. Ronda is a Project Engineer for Fredon Air; she completed her cadetship with Fredon Air before graduating in 2015 with a Bachelor of Engineering (Mechanical Engineering) and a Bachelor of Commerce (Quantitative Business Analysis). Since completing her studies, Ronda has been involved in many successful Fredon Air projects from design through to commissioning and handover. Accepting the award, Ronda said it was an honour to be nominated, and thanked Hani Danyal and Steve Olive for their support and mentorship throughout her cadetship and transition to engineer.